← Today Detroit, Tomorrow Chicago? Four months before I was born, Prince Charles of Wales came into this world. Charles did the “Royalty Thing” and I did the middle class American thing. 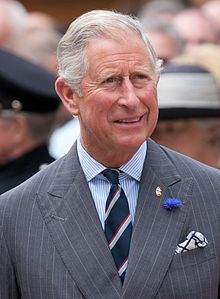 I’ve not followed Charles much, but I know he had a wonderful education, married Lady Diane Spencer, and wove his private life around his true love, Camilla Parker Bowles. He also fathered (with Diana) the future King of England, William, who married the most beautiful woman in the world, Catherine (Kate) Middleton. This lovely couple just gave the monarchy another heir to the throne, the baby George. I write this letter out of concern for the British Monarchy and I propose that you make a personal decision that will increase the revenue and relevance of the Monarchy, enrich your family, and improve your legacy. Charles, when your Mother passes away, I ask that you assume the position of King for one year, at which time you bestow that title to your son, William. If William and Kate become the king and queen of England the British public (and most of the rest of the civilized world) will go wild! You see, Charles, William is much favored over you for good reason. He’s much better looking, he is not boring, he has a happy marriage, and has extended the family blood line by fathering your grandson, George. Do you have any idea of the magnitude of the excitement (and tourist dollars) a Royal Coronation of William and Kate would bring to the United Kingdom? Have you considered how many tourists will come to London over the next 30 or 40 years to stand at the gates of Buckingham Palace just for a chance to see the young Royal family? Charles, the Monarchy needs a “makeover”. William and Kate have what it takes to accomplish this almost immediately! Let’s face it, Chuck…we are getting old. It is time for the younger generation to do the heavy lifting! What can I say – from a “:commoner’s perspective” I LOVE this idea and I hope somehow a friend of a friend of a friend of a friend of a friend……..of a friend of Charles gets this message and takes it to heart! I mean, seriously, Don, your blog is GREAT, but I doubt the Prince reads it. Too bad.